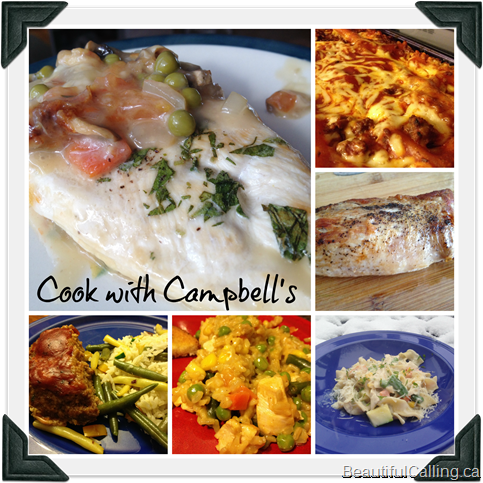 I had the chance to test out some recipes using the Cook with Campbell’s website last month. Make a recipe, eat the recipe and provide feedback. The campaign didn’t require a blog post however, I thought I’d share some of what I made just for fun. To start with, I had never used the cook with Campbell’s website before so all the recipes, and cooking with soup, were completely new territory to me. All the recipes were actually pretty quick, which is pretty great for busy nights. Most of the recipes have pretty simple, staple ingredients. The only issue that I really had was that we did not like the mushroom soup in any of the recipes. I would swap that out for either cream of chicken or cream of celery and most of these meals we would make again on those nights when we’re in a hurry! 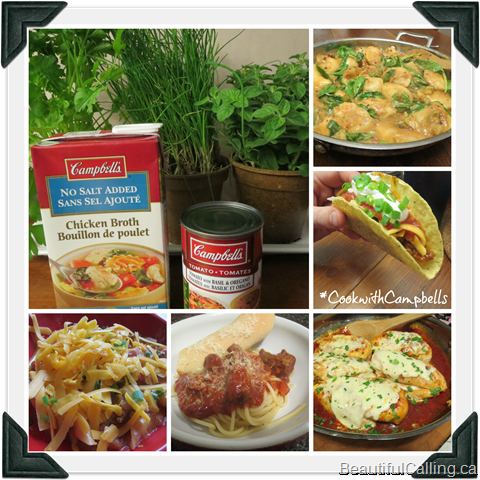 Have you ever cooked with Campbell’s? This post is under “Recipe Box, Reviews/Giveaways” and has no comments so far.